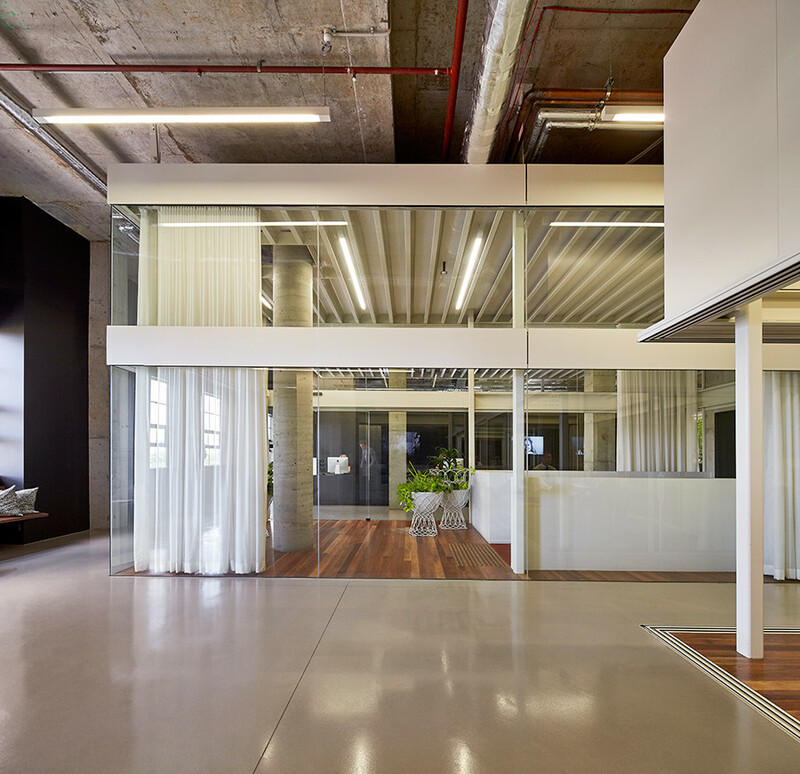 Each designed by Chenchow Little Architects, three BresicWhitney offices are inspired by the character of their neighbourhoods and offer an ever-changing and improvised circulation experience. In The Death and Life of Great American Cities, Jane Jacobs champions the vitality and diversity of urban neighbourhoods, the informal and experiential quality of the sidewalk and the multiplicity of pathways of getting from A to B. “The ballet of the good city sidewalk never repeats itself from place to place, and in any one place is always replete with improvisations,” Jacobs wrote in 1961. 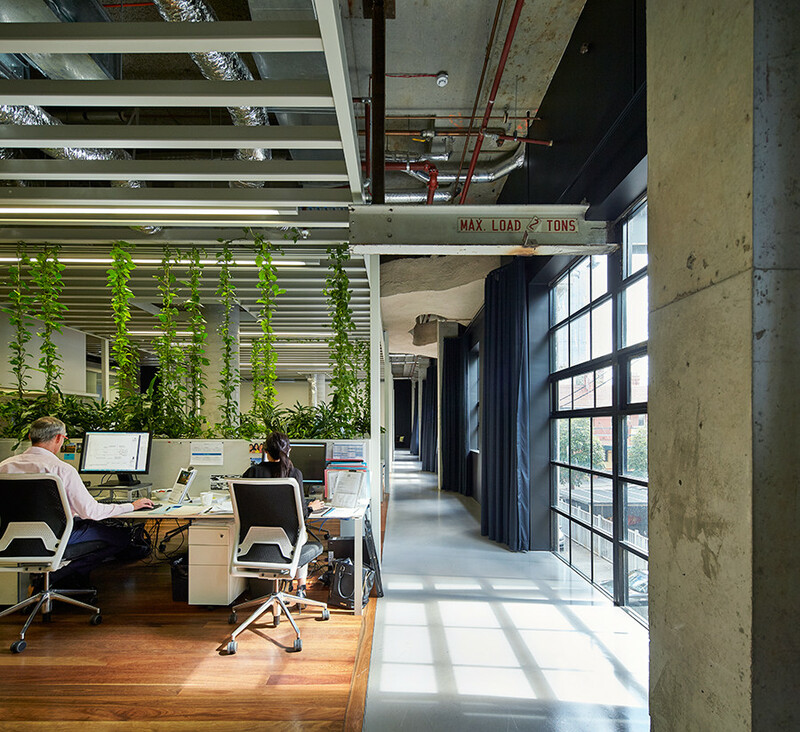 Designed in 2012, the inner-city Darlinghurst office has a network of paths that circulate around a series of independent pavilions based on the random column grid of the base building. 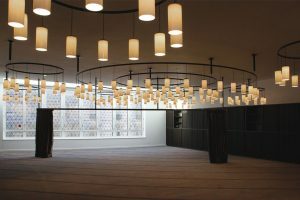 “While defined, each pavilion is also permeable and adaptable allowing multiple paths of travel, multiple uses and lines of sight across the entire floor. 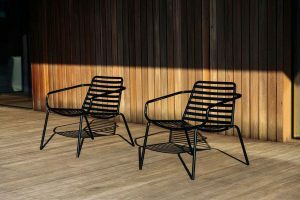 The spatial strategy ensures that spaces are non-hierarchical, reflecting the egalitarian ethos of the company,” says Stephanie. 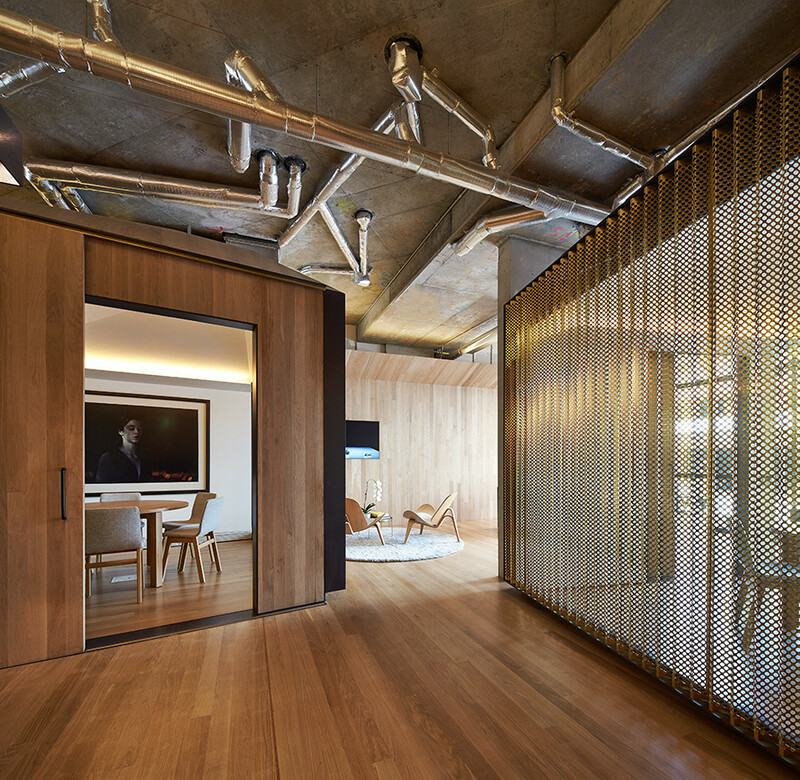 Chenchow Little designed the Hunters Hill office two years later, similarly imaged as a townscape or urban network, with independent pavilions and workstations within the shell of the space. 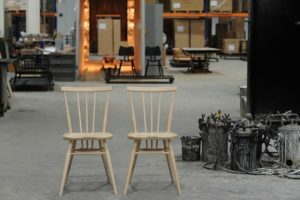 “They are considered as elemental figures that twist in scale and orientation to create contracting or expanding spaces and guide circulation paths,” says Stephanie. 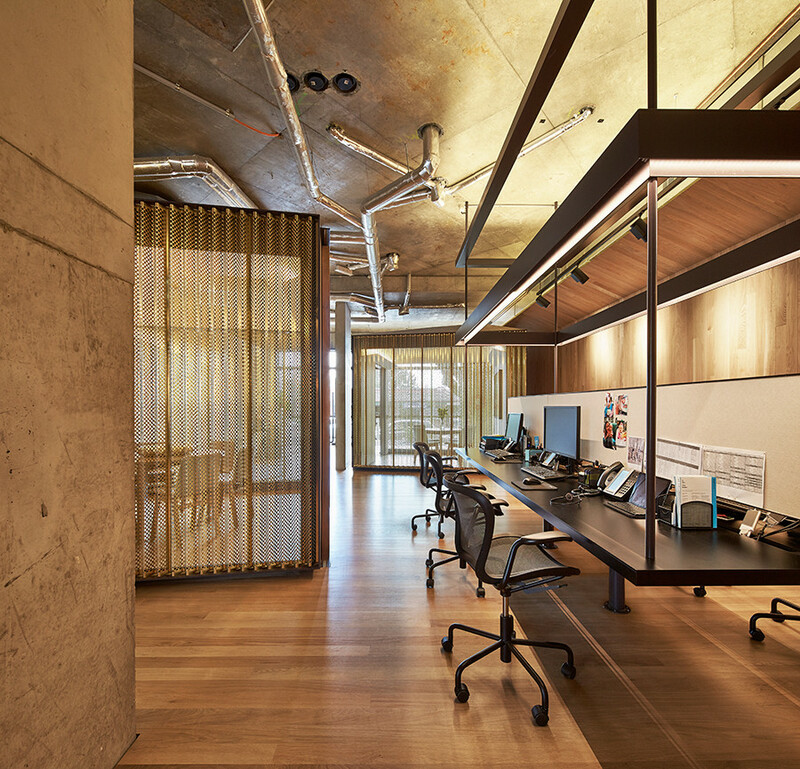 The use of timber and brass evokes the heritage architecture of the suburb, and black-steel workstations are suspended from the ceiling, appearing to float above the floor. BresicWhitney Rosebery. Photo by Ben Hosking. 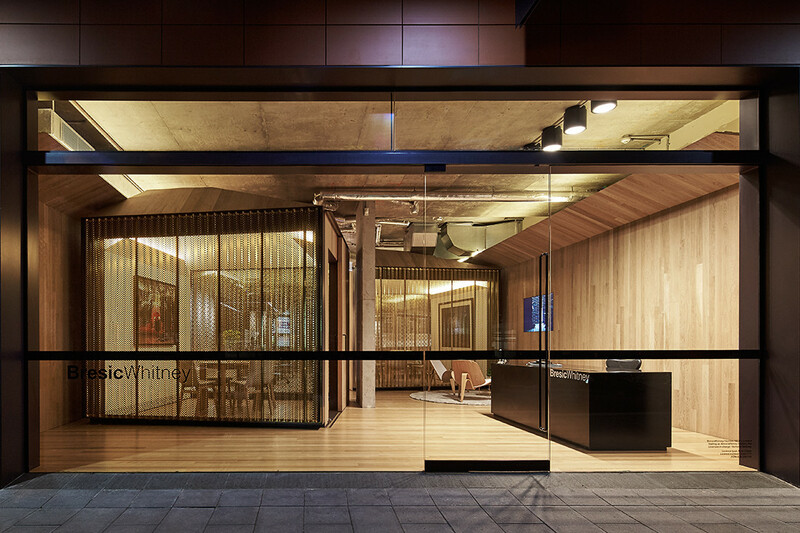 Most recently, Chenchow Little completed the Rosebery office. 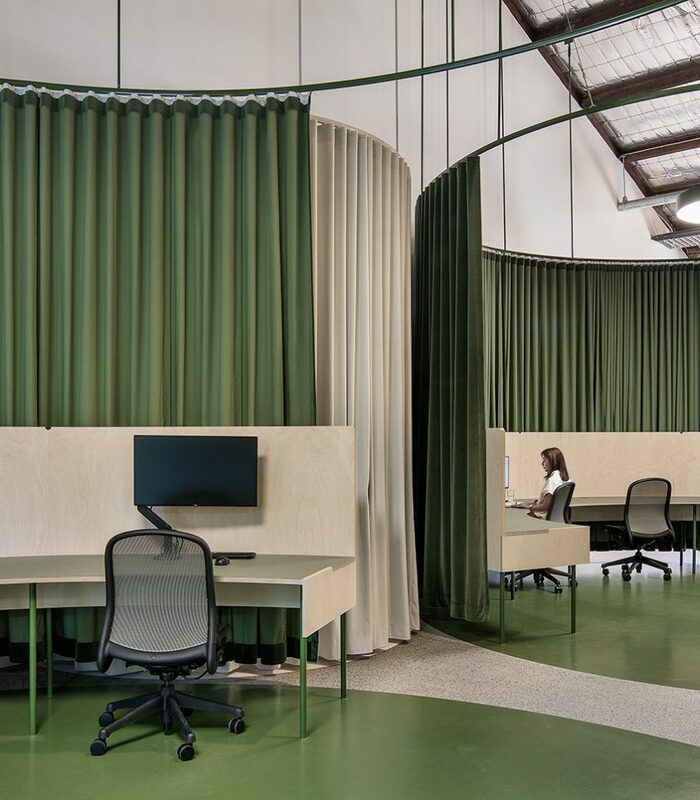 The heritage-listed warehouse has a raw industrial interior expressive of the light industrial area, and circular working and meeting pods are a counterpoint to the geometry of the warehouse architecture. 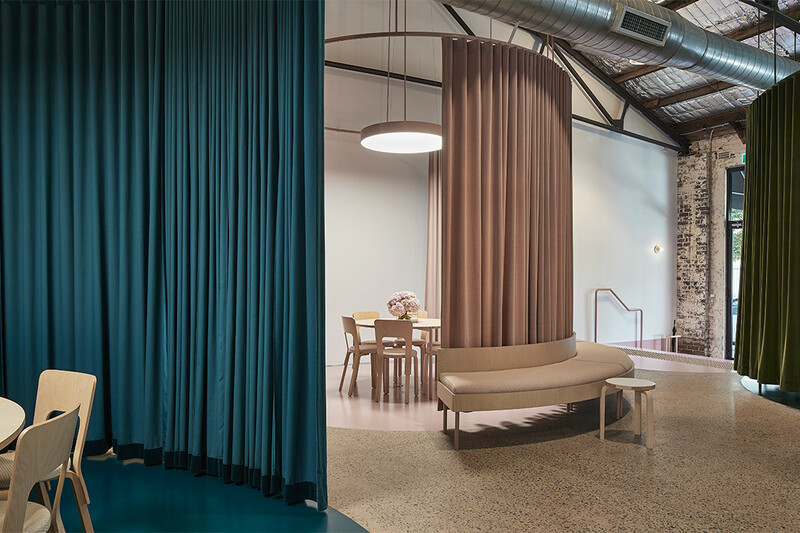 They are designed as installational spatial devices, defined by coloured flooring and wrapped with S-fold velvet curtains to appear as a volume within the room. 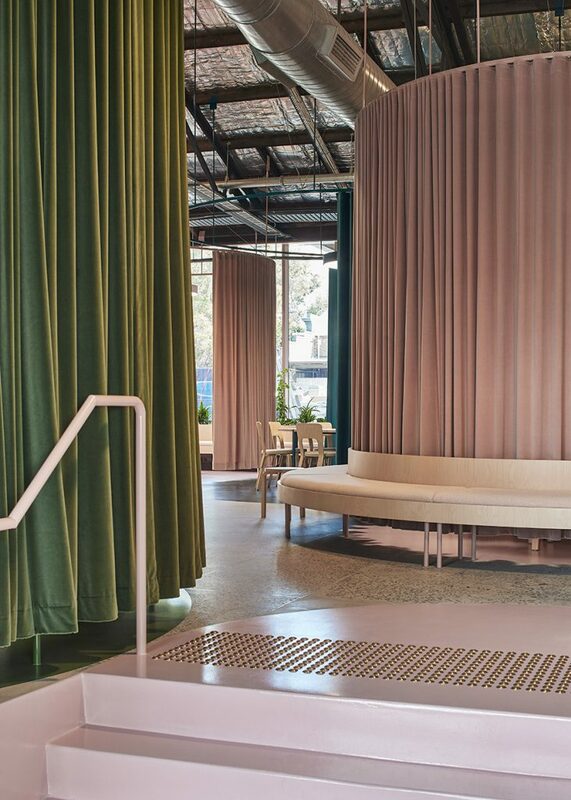 Circulation through the office weaves around the pods with their endless configuration of curtain positions and rich layering of colours, creating an ever-changing and improvised experience – an unrehearsed choreography reminiscent of Jane Jacobs’ sidewalk ballet. Photography by Peter Bennetts unless otherwise stated. 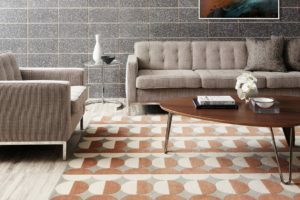 Want more workplace inspiration? Explore our archives. 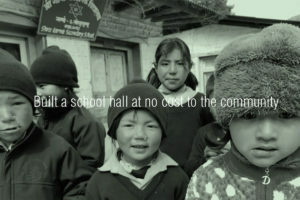 And never miss a beat by signing up for our newsletter.